NOTE: Due to new laws prohibiting cash for cars, Our new payment method is bank transfer or cheque. Hazara Car Removal also offer cash for your old, damaged or unwanted vehicle From $50 Upto $4500. NO matter if the car is in a driveway, street or in your backyard, we arrange vehicle removal service at no extra cost. Hazara Car Collection offers quick cash for cars all over the areas of Melbourne and Frankston. 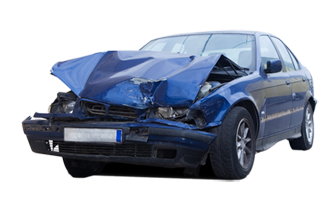 So whether your car is a scrap that you can barely drive to the market or a rusty old heap that you have no idea how to dispose of, our cash for cars is the easiest and quickest solution for converting your faulty autos into much needed cash. Just call (03) 9701 8740 >or 0409 145 434 to find out more about how cash for cars works or to get a free quote on your vehicle. You can also submit the form on the right to get your quote quickly. Our cash offers are fair and we take just about any type of vehicle in just about any condition- from cars to 4x4s to vans to trucks- we’ll take them all off your hands for you. You get the cash and we’ll haul them away totally free. Isn’t than an awesome deal? Converting your rundown or out of commission vehicles into cash has never been easier. All you need to do to get a free quote is contact us through (03) 9701 8740 or 0409 145 434 or by filling out the form to the right with all the details. Our quotes are fair and top notch. You can get up to $5999 for your unit and we’ll even remove it for you for free. Can it get any easier? Just when you thought getting cash for cars was great, it just got even better. We will remove your car from anywhere in Melbourne, Dandenong, Glen Waverley and Taylors Lakes totally free of charge. How’s that for service? Call us through (03) 9701 8740 or 0409 145 434 or fill out the form of the right with the details to schedule the removal. Learn more about Cash for Cars!